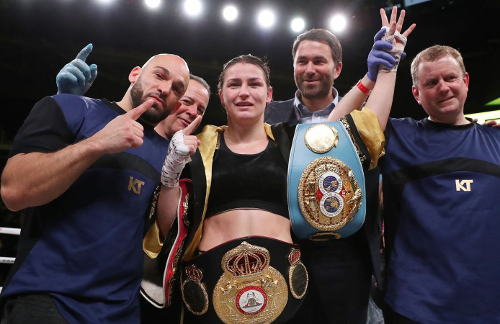 I’m back after a busy few months of training camp and a recent trip to Philadelphia where Katie Taylor and I picked up our third world title with a 9th round stoppage over previously undefeated Rose Volante. Katie now holds the WBA, IBF, and WBO lightweight world titles. There is just one belt remaining to become the undisputed champion. Delfine Persoon (43-1) holds the WBC belt and we are hopeful for a fight with her in June at the Madison Square Garden in New York City. Delfine is a strong champion herself so it should make for an action packed world title fight. I’ll be sure to post updates to my social media channels when the fight is officially announced. In the meantime, here are highlights from the most recent fight (direct link here). Thanks to everyone for the continued support and I will get back to updating the blog again soon.